Make your travels even easier with this fantastic airplane belt, which is made from 100% polyester, so your travelling is made even smoother through the airports. 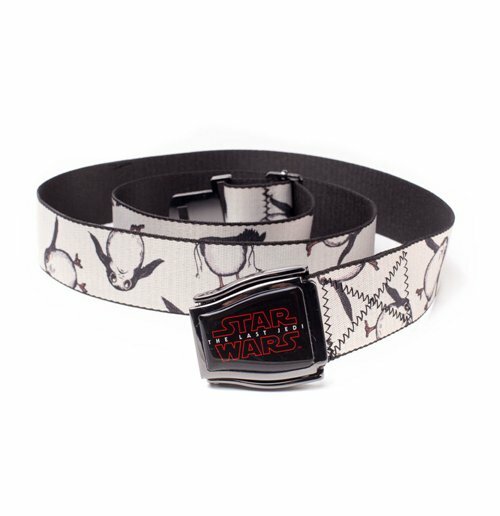 A convenient clip/release buckle locking mechanism, makes it much easier to remove quickly, and includes a striking Star Wars The Last Jedi buckle; inspired by the popular Star Wars series. The belt has an all-over Porgs print.